So, a carbon Litespeed… The famed titanium bike manufacturer has branched out into a brave new-ish world, the Archon carbon framesets are the result of two years of design, progression and testing. The test model here is the C3. 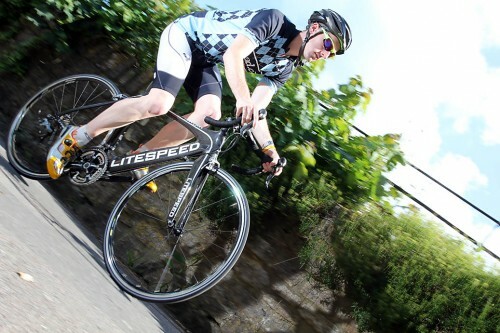 Litespeed say that their “relentless drive for the perfect ride has finally delivered the results we had hoped for”. Taken on face, it would seem that Litespeed feel this is the perfect bike, quite a statement for a company who have built so many great bikes in titanium. Based on the look of the frame and fork package I expected a reactive, sharp ride that would push me to ride faster and faster. Litespeed call the C3 the ‘premium modulus’ frameset and this is constructed with 3k carbon throughout as with the other c series Archon frames. On the first ride, a pre-planned 40km route home from the Paligap warehouse in Yate, just north of Bristol my immediate, and I mean immediate thoughts were ‘wow, these bars are narrow’, 40cm to be exact, on a medium frame. I use 38cm bars on my TT bike but 42’s on my road bike. They took a few minutes of getting used to but then it was full steam ahead out toward the Cotswold escarpment for a spot of sprint climbing before a steep descent and a fast, flat-ish return to central Bristol. I was never going to get a good idea of how the Archon C3 rides from this short jaunt but I did arrive home with a massive grin on my face. I have taken the C3 on all manner of rides, from hilly sprint triathlons to the Exmouth exodus, from 200mile audax’s to tackling the toughest climbs and weather that the Pyrenees could throw at me. The smoother, calmer gradients through the top 7km of climbing on the Soulor were easily dealt with and the support for every cyclist, even in the miserable rain and wind was superb and made it all worth while. Accelerating over the top I lost grip due to one of the many ‘RABO’ signs daubed across the tarmac which made me aware of the limitations of the otherwise impressive Vitoria Rubino Pro Tech tyres. As I crested the Aubisque I stopped where there were a few other cyclists in the gloom, one Frenchman rolled over and said “Non triple ? Impressionnant, vous avez beaucoup de force” which basically means “no triple? Impressive, you have got strength” which was delivered along with a Popeye style arm movement…my French isn’t great, I decided to smile, say my thanks and not tell him that I was riding a compact. Using the same frame design as the C2 and C1 models, the C3 offers great value for money if you are the sort of rider who likes to tune your ride with upgrades and personal choices rather than enjoy an off the peg spec. The frame itself has many interesting features including the ‘aero shrouded’ bottle cage mount which means that the down tube is sculpted to channel the air around the bottle cage. The mounts themselves sit in a small, flattened section on the downtube unlike anything I've seen on other frames. Were there any benefits? It’s hard to tell without a wind tunnel and some software. The morphed seat tubes certainly worked to deliver stiffness which on long gruelling climbs is very well received, they really do add to the overall look of the frameset too. The bowed forks are different too, they give plenty of room between the fork blade and the wheels and while Litespeed have not pinned down an aero reason for this, it looks the part and feels nice and direct. 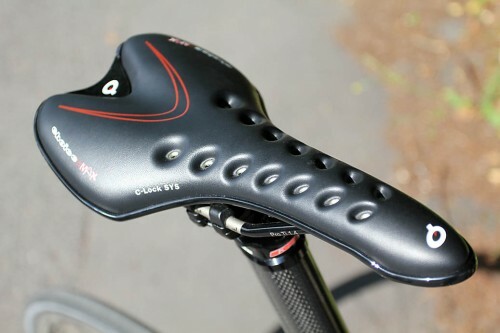 The integrated seat mast certainly added grace and style to the frameset and reduces weight while improving aerodynamics by doing away with frame mounted seat clamps. For a pro, it is a sensible choice. For a rider like me, perhaps it is a bit too over the top. I say this because even subtle changes can alter your riding position, a change in pedals, bars, stem, saddle will alter you position. There are 3 caps that add in adjustment to the ‘cut’ seatmast height and of course it's true that any adjustment you are likely to need to make is going to be small - so maybe I'm being sqeamish. My only real niggle is the lack of internal cable routing. The Archon is an aero road bike has cables that have been left in the wind and that are joined to the frame with not-at-all subtle lugs which is a real shame for the lines of the bike. Why Litespeed choose to go this route is also a question that despite several emails Litespeed haven't really answered. Litespeeds engineers have been busy playing with the carbon on this frame, tube thicknesses and ratios have been adjusted to offer the best possible performance throughout the size ranges. Litespeed have not just ‘scaled’ when doing different sizes which is good to see and is what you should expect from a top end carbon frame. The C3t certainly climbs like a lighter bike than it's 8.1Kg claimed weight and while 8kg is by no means lardy, there are plenty of bikes around that will beat that target. Stability was clear from the first ride, a very assured and confident riding position worked well with the aero benefits, especially at top speed on the flat or descending in France. The semi compact geometry took me back to the days of my old giant OCR ‘Once’ edition that I could fling about beneath me, the Archon C3 certainly gave me the same childish happiness when riding it but with more delivery, more of my effort went into making the bike and me go forward…quickly. What did I think? The bike was great, the frame was outstanding. The combination of riding quality and impressed looks from fellow cyclists does create a feeling of pride and seems to diminish the power of fatigue and lactic acid. With race quality wheels this bike is superb, with the standard FSA RD60s it is still very good. Would I buy one, yes, do I need one…probably not but it is on my wish-list. Riding along the roads of Le Tour this summer was a great experience, one that was certainly enhanced by riding such a good machine. Stiff, aero, responsive and comfortable, it may not be a classic Litespeed beauty but it does it’s job extremely well. 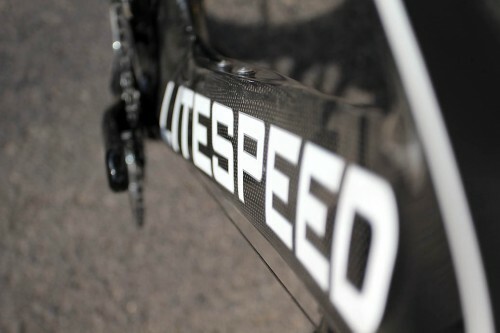 Litespeed claim that this series of bikes, the C series, is the culmination of a 2 year quest for perfection. I haven't ridden the top of the range C1 but the C3 certainly feels like a well thought out bike, external cable routing aside. 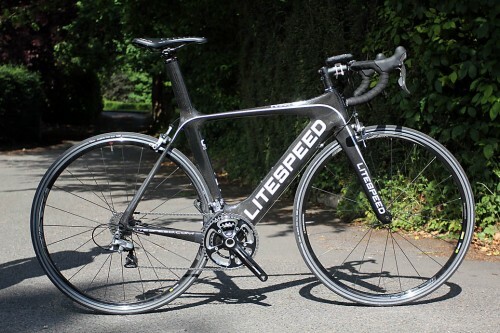 When you can get it for under £2k online this is well within the rach of many keen cyclists and certainly a lot of 'mamils/mawils' giving you that entry into the Litespeed brand for a very competitive price. All the C series frames are made of 3k carbon fibre, they all benefit from the same aero shrouding bottle cage mount, rear wheel cut out, extremely thin seatstays that morph smoothly into the seatpost and massive headtube join and bottom bracket section. The result is a fast, responsive, stiff frame that takes all manner of riding in its stride from steep climbs to overnight jaunts. 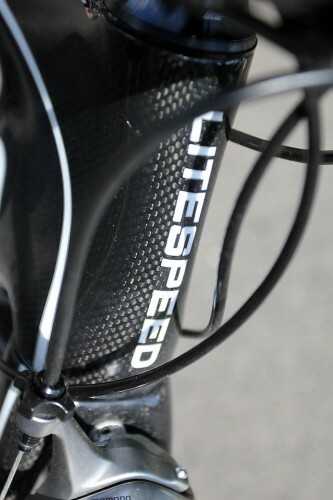 The construction is great as you would expect from a brand such as Litespeed. No creaks, groans or noises. A silent and enjoyable ride which allows you to sit back, when you fancy it, and enjoy being out on the bike. Cruising through the Devon landscape at sunrise with no sound at all was fantastic. It climbs brilliantly, it descends even better and on the flat it is a rocket. Put race wheels on it and you have a really good machine. Performance was assured in all weathers. I rode it in the wind, the rain, in clouds, in 35degree heat with dust everywhere and the C3 always wanted to take more. It seemed lighter as I progressed up my climbs in France which was a superb feeling. At just over 8kg on my scales this isnt heavy but neither is it super light, it isnt going to be with all of that carbon and those wheels. It didnt feel heavy though, at no point did it feel sluggish in standard guise but swap the wheels over to some race spec ones and the C3 really does leap forward when you step on the pedals, the stiffness and pwoer transfer is outstanding. I did a couple of 250km+ rides and a night ride on this bike and while my legs felt tired at the end my lower back (which can be an issue for me) and my shoulders were relaxed, the bike moved well under me and I never felt tense. If you do some very basic digging on Google you will find this bike for under £2k, spec wise it is on a par with some but for the stiffness and speed of the frame/forks it is unbeatable for this price. In comparison to the GT gtr carbon expert tested earlier on road.cc the Litespeed dances all over it. 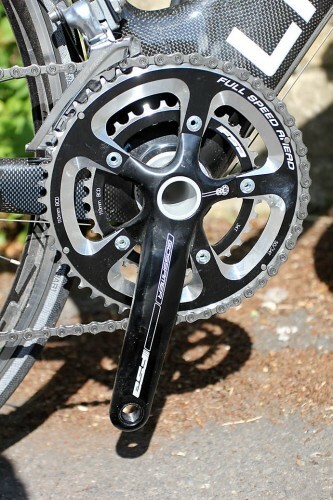 You are getting a litespeed, for £2k! It is designed to be a fast, responsive bike. It exceeded my expectations. I didnt expect it to climb as well as it did, I thought it would be fast on the flat and nice to descend on due to the compact geometry but I had no idea it would be quite as quick as it was. Outstanding. The narrow stance, the 40cm bars and direct steering meant the bike went exactly where I asked it to, no movement either side, no wobbles even at 85kph+ on the descent of the Tourmalet the c3 felt planted, assured and I felt like I wanted to go faster. The external cable routing, just, why!? A great bike at a great price. The titanium archon is £6k and is beautiful, the C series bikes are all quite nice looking, the C1 nicer than the rest but for this price I want more than looks out of a bike and the C3 delivers on performance.